Just about every action or animated movie these days ends up being turned into a videogame sooner or later, and with few exceptions (GoldenEye was in a league of its own and lets not forget Sega’s Aladdin), every one of them has sucked. So when Grin Barcelona and WBIE let us take an early look at their newest title, Wanted: Weapons of Fate, we weren’t sure exactly what to expect. Everyone knew it was coming, but no one knew if it would be any good. From what we saw on Saturday, we should have had more faith in Grin. Wanted follows Wesley Gibson and his father Cross through a linear storyline that starts five hours after the movie left off. 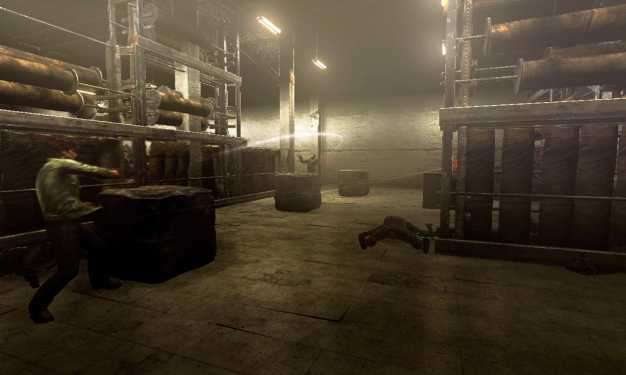 As you know, Cross is dead at the end of the movie, so the levels involving him take place before the main plot of the game. The story itself is about Cross and Wesley tangling with the French chapter of the Fraternity. As you might expect, there is a lot of intrigue and double crosses and killing. Apparently, Grin thought about including a multiplayer mode, but instead decided to focus on creating an intense and unique single player experience. In that aspect, they seem to have been fairly successful. The controls are very similar to numerous other third person shooters out there: right trigger fires, ‘X’ reloads, etc., but the fluidity with which all of that flows together makes Wanted feel and look stylish enough to stand out. The game uses a cover system similar enough to GoW that you’ll pick it up quickly, but different enough to fit the Wanted universe. You press ‘A’ to go into cover, but it’s not as clunky as Gears: you’re supposed to be an assassin, not a soldier hampered by lots of gear. So, instead of lumbering over cover, you slide, roll, and generally look nimble. For instance, in Gears, you can jump over some of the cover, but some of it is too thick, so you end having to go around. We encountered similar cover in Wanted, but Wesley jumped onto it, slid over it on his knees, and landed in a full sprint. Marcus Fenix in all his power was never this agile. 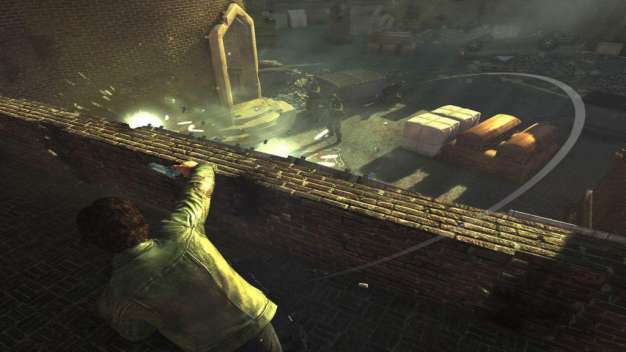 Moving around between cover like this and killing people without defying physics builds up adrenaline, which allows you to perform Wesley’s special moves. The sections I was able to play through showed Wesley bending bullets, slowing down time, and shooting hails of bullets in rapid succession. To bend bullets, players need to hold the left trigger and the right bumper. The former gets you out of cover and the latter pulls up a red arc that tracks from your gun to an enemy. By manipulating the angle so that the bullet will actually hit the target instead of a wall or another object, you move the arc with the left joystick until it turns white. Release the right bumper and the bullet is off, hopefully taking out an enemy who doesn’t realize the kind of badass he’s dealing with. I was told — but couldn’t pull off myself — that such shots can take out more than one person at a time.There are other cool abilities too. Grin included a close quarters combat system with tons of different finishing moves — my favorite was a crushing knee to the head. Wesley also has “assassin time” at his disposal, in which he is able to slow time and shoots lots of bullets at lots of people. At one point during the demo, I dove through the air, slowed time, and shot a guy with about 50 rounds of pistol fire — Wesley’s magazines are impressively big, if you know what I mean — sending him flying against a wall. It felt great to absolutely destroy someone and then smoothly somersault into cover as the body fell. All of this running and gunning emphasized the cinematic feel of the game, which in turn makes you notice the camera. You’ll notice that it’s closer to the player than in Gears, emphasizing the movement and melee attacks. The angle is more realistic, too. When you go into cover, you can’t see all that much that is going on around you. When you blind-fire, you really don’t know if you’re hitting anyone, which makes a lot more sense than how GoW handles it. The camera also moves around frenetically, changing angles when you use melee attack or grab an enemy to use as a meat shield, and it occasionally follows the path of your especially well aimed shots. We played through two different areas, and I was able to see the varied gameplay Grin had included. A couple of the ones we saw looked pretty standard for shooters: courtyards with well placed explosive barrels, etc., but one them stuck out. At one point we had to fight our way a turbulent plane ride. We began in the cargo hold and ended up with the passengers, using the food trays as movable cover. At one point, I missed an enemy and shot out a door of the plane. All Hell broke loose, but I was able to throw a couple of enemies out the door. And yes, forcing someone to exit a plane at 37,000 feet is really fun.The developers also showed me a special level in which you play in a pseudo-interactive movie. It started with a cutscene of Wesley entering a building, running, and then diving across the room. At this point he goes into ‘Assassin Time’, and you get control of only where he shoots. 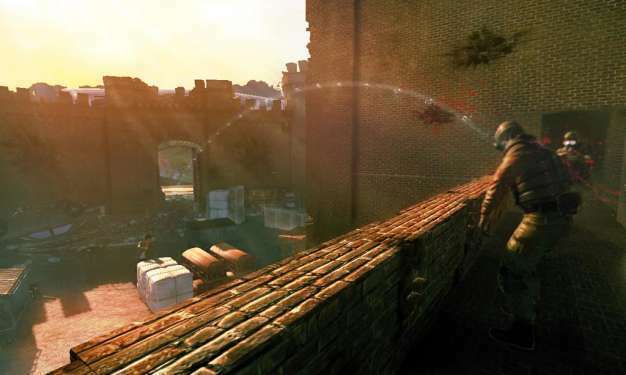 The player gets three seconds (less in harder difficulties) while Wesley flies through the air to shoot enemies and, much like Time Crisis of old, take out any incoming bullets. After that segment, there was another quick cutscene showing Wesley running up a wall and leaping off of it, and then you were be back in control for a few more seconds. The sequence added to the cinematic feel while providing a nice change of pace from the other levels. The single player campaign is supposed to last anywhere from 8-10 hours, which is my main gripe with the game at this point. I’m sure Wanted will be a lot of fun, and from what I’ve seen, Grin has also taken care to make the shooter unique, but spending $60 on 8 hours of gameplay with no multiplayer feels wasteful. I can see this title easily becoming a Must Rent, but beyond that, I don’t know. Either way from what we saw it’s a surprisingly solid title that lives up to its own hype. If only we could play as Fox. That’s just what the videogame industry needs: another playable Angelina Jolie lookalike.